A medium bridge positioning creates more balance to the face, creating a versatile look allowing you to match your Dolce & Gabbana DG3243 glasses to your outfit. 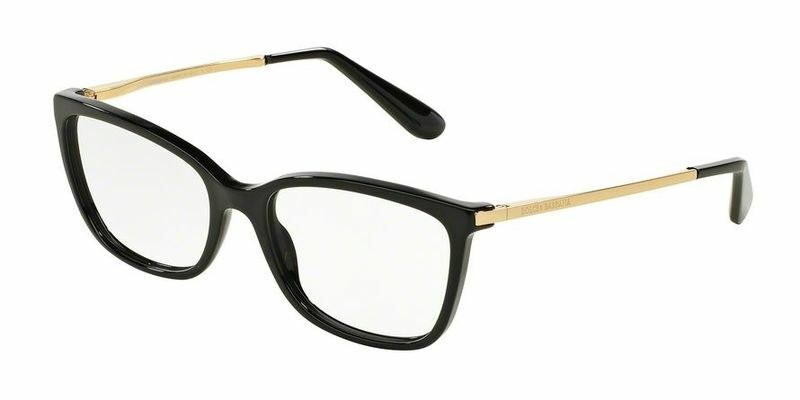 Full-rimmed Dolce & Gabbana DG3243 eyeglasses are a hot favorite among the youth. These thicker frames allow you to experiment more with color and style while fully protecting your lenses. If they were good enough for Fitzgerald, they're good enough for you. Emulate his hipster intelligent look and spend your days contemplating the real beauty of things. These playful square frames will bring out your charismatic youthful side. Be mysterious, be more daring, be a rebel without a cause...just be you. Square glasses are perfect for people with round or oval faces. These classic frames are timeless in their style. No matter what the year is, you're bound to look great with these frames that will never go out of fashion. Oval shaped faces will look amazing with these rounded Dolce & Gabbana DG3243 frames with high temples.